Alters is a new comic from veteran comics writer Paul Jenkins and newcomer artist Leila Leiz. I read the trade paperback, collecting the first five issues, with almost no preconceived notions. The book ended up surprising me in many ways. It takes major creative risks, and its talented creative takes the opportunity to try to write a book far outside of their comfort zones. Alters has admirable goals and for the most part, a good execution, but where it really shines is its singular sense of style. The book immediately sets itself up as something familiar. It takes place in sort of a boilerplate mutant superhero world. By that I mean, there are super-powered individuals, some good and some bad, they wear over-the-top outfits, and they give themselves names like Matter Man and Chalice. I specify ‘mutant’ because unlike in a sprawling shared-universe superhero world, all of the powers stem from the same source, and the world is dealing with these potentially dangerous individuals. It’s the kind of setting you see in a lot of non-Big Two hero comics, from Invincible to Jupiter’s Legacy to Irredeemable. From the first few pages, a couple of things are clear about the art. Leila Leiz and colorist Tamara Bonvillain have got the stuff. They’ve got style for miles. The colors are vibrant, the costumes are great, the framing is clear. The turnover in the superhero comics world has been high lately, and we’ve had the opportunity to see a lot of new artists. Leiz is relatively new to comics, and and while her learning curve shows, it’s hard to hide her raw talent. Her design work is never derivative, and characters always look like themselves and not like a pastiche of more famous heroes. Besides the bold sense of style, it’s clear that Leiz is a comics artist and not another kind of illustrator dabbling in comics. Her panel layouts are clear and strong. Whenever the book’s antagonist is on the page, the panels start to tilt diagonally. 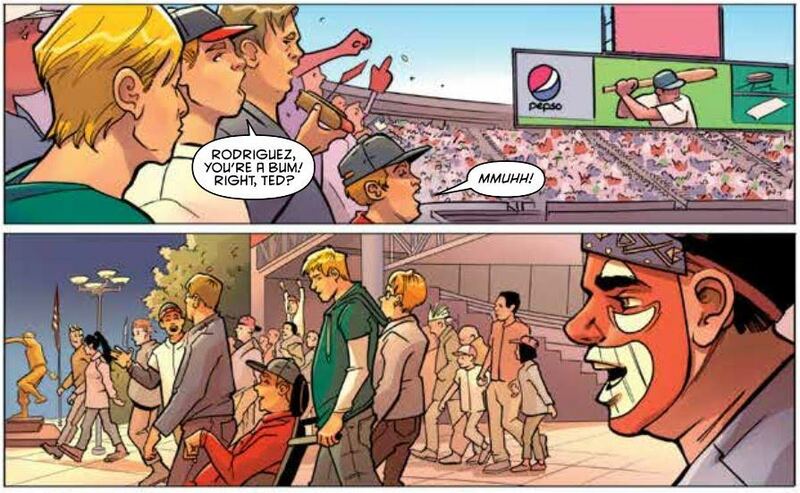 When we’re dealing with our heroes, the panels are divided by thick straight lines. It’s basic stuff, but it’s really well executed, and proves that Leiz knows what she’s doing with comics. With other newcomer artists, things like panel divisions, motion lines, and facial expressions sometimes don’t match up to the story the writer is crafting. Not the case with Leiz, who’s technical comics proficiency matches her strong sense of style. About halfway through the first issue, we get our hook. 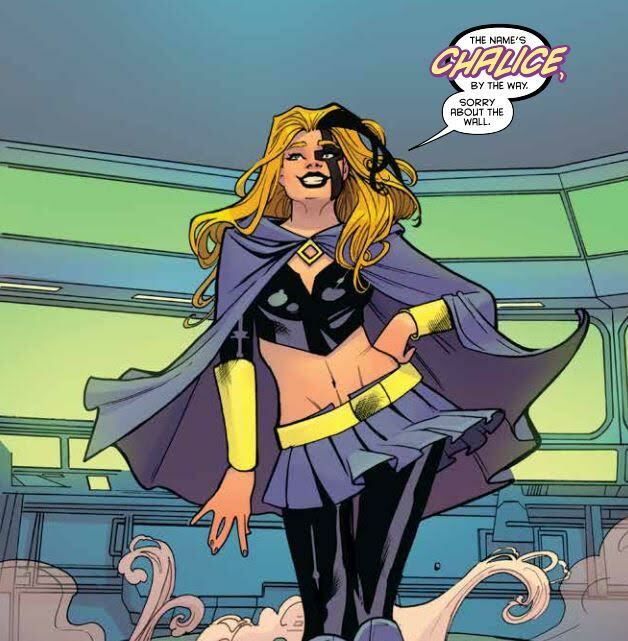 Chalice, our powerful new super-heroine is really Charlie, a mid-transition young adult living in Ohio. Charlie hasn’t come out to their parents yet, either as a trans woman or as a superpowered Alter, but the metaphor is very clear. Superpowers as a metaphor for identity struggles has been a popular idea since the X-Men first came on the scene in the 60s. The famous scene in X2, where Iceman’s mother asks him if he’s ever tried not being a mutant, is still a brilliant coming out scene. Alters is looking towards scenes like that, and decompressing the idea, to spend time in the head of a character inhabiting that conflict. It may seem obvious, telling the story of someone living a double life, where their gender presentation can only be expressed through a superhero identity, but actually it’s a relatively rare narrative device. Trans characters in superhero books have mostly been relegated to sidekick roles (like Batgirl’s roommate in the most recent series). Alters is one of the first series to try and tackle that metaphor as a central conceit, and not as an incidental idea. Paul Jenkins, like me, is a cisgender man. I cannot claim to be an expert in the trans experience, or more specifically of the trans experience in the conservative Midwestern United States, but I think we should commend Jenkins for committing himself to his interesting idea. 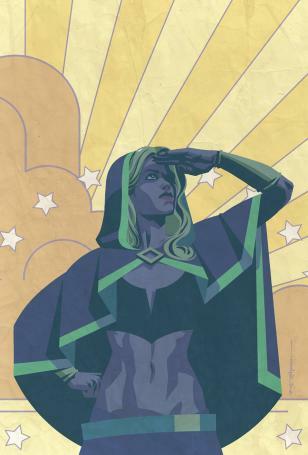 It’s not like there’s a crowded climate of trans superhero stories, and if Jenkins opens the door to similar stories in the future, Alters would be a success. The fact that he tried to tell this story in the first place is a powerful statement. Charlie/Chalice’s struggle is a strong hook, and as the series continues I hope to see her achieve more milestones in her journey of self expression. Jenkins has written a likable protagonist; I’m rooting for her. Alters is an ambitious comic. Though there are other ongoing comics, like the sci-fi adventure book Kim and Kim that seem more specific to the transgender experience, there are no other superhero books with a superpowered trans lead, and certainly no books that merge the “secret identity” narratives of being a masked vigilante and of being in the closet. Alters is an important comic book milestone in that respect, and helps to create a world where stories like this are more normal. Geek Rock, Geeky Bands to check out …. 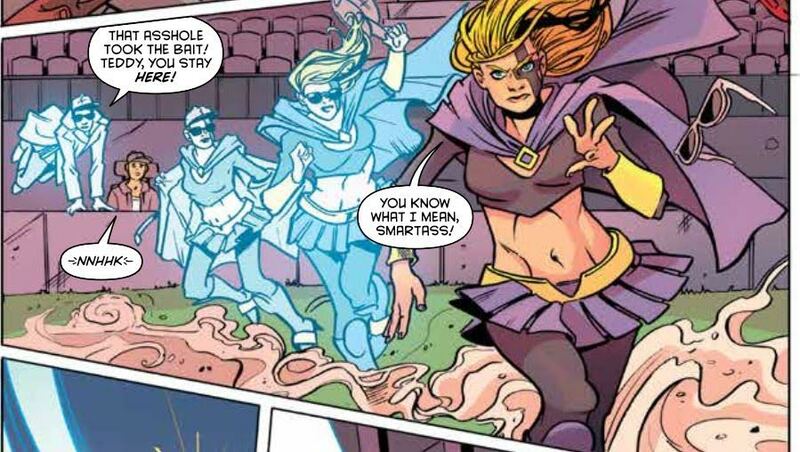 In what ways is Kim and Kim, a comic about two queer women being interdimensional space bounty hunters more specific to the trans experience? The character’s transness is mentioned like 3 times total, and even then rather obliquely. Some cis dude’s interpretation of the typical transition narrative through the lens of secret identities (ugh) and closets is somehow LESS specific to the trans experience? The whole story turns on Chalice’s transness. Seems pretty specific to me. Oh … right, Kim and Kim is written by a trans woman, who already knows the typical transition narrative and proceeds to tell a story about a trans character that isn’t about her being trans, MAKES it specific to the trans experience. Because us telling our own stories about people like us makes the story a trans story, not a story containing trans people.